OOTD - She Wore a Raspberry Beret | La Petite Noob | A Toronto-Based Fashion and Lifestyle Blog. This Zara plaid scarf has been on serious repeat for me lately, and I have been finding every excuse possible to wear it! My favourite way as of late to wear the infamous checked blanket scarf has been to wrap it around my shoulders, with or without a belt - not only does it completely change the look of any outfit, but it is also every bit as comfortable as wearing your bed comforter around town. 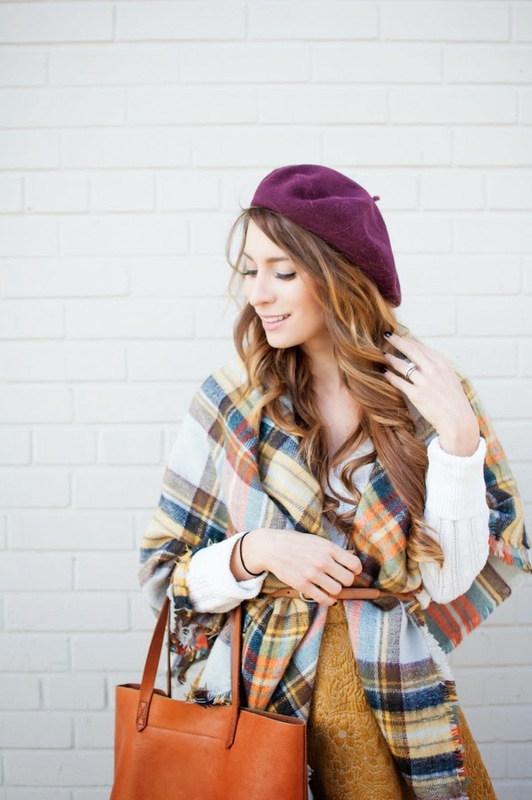 What do you think about wearing a beret - would you do it? Let me know! Steal away, I'm so glad that you like it! Love this outfit! So unique! Love the bere. Do you still wear it?